Some of it is already in our carts ... because stuff sells out so fast. Hello, Nordstrom Anniversary Sale! And hello, savings. We definitely missed you. The fantastic (and anticipated!) sale kicked off a few days ago, and we've chosen some of our favorite deals. Styles always sell out fast and we're eyeing some winter coats, jeans, men's basics and great deals on beauty and home. 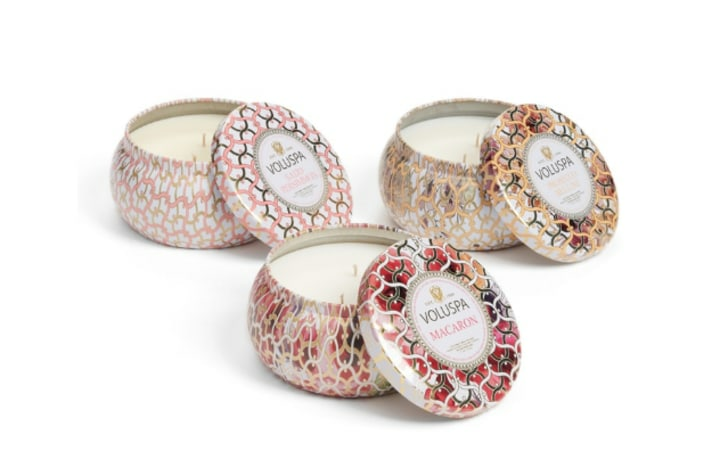 You can also check out what fellow TODAY readers are shopping here! Check back here for updates: We'll be selecting more of our favorites as we see them. The Nordstrom Anniversary Sale begins July 20 and runs through August 5, you can shop the entire sale here. Click here to shop all women's fashion under $50. 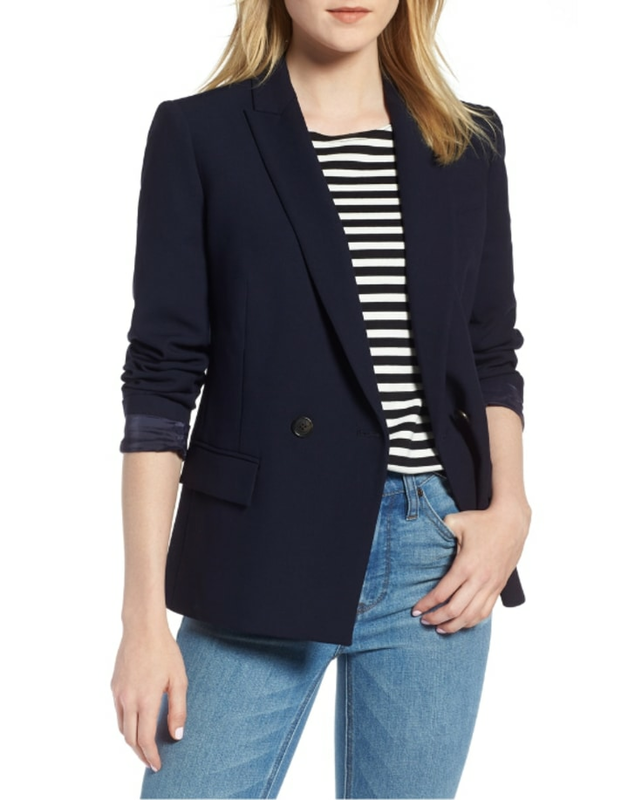 We love a good blazer (and so does Duchess Kate). Snag this one to escalate an otherwise casual jeans and tee look. 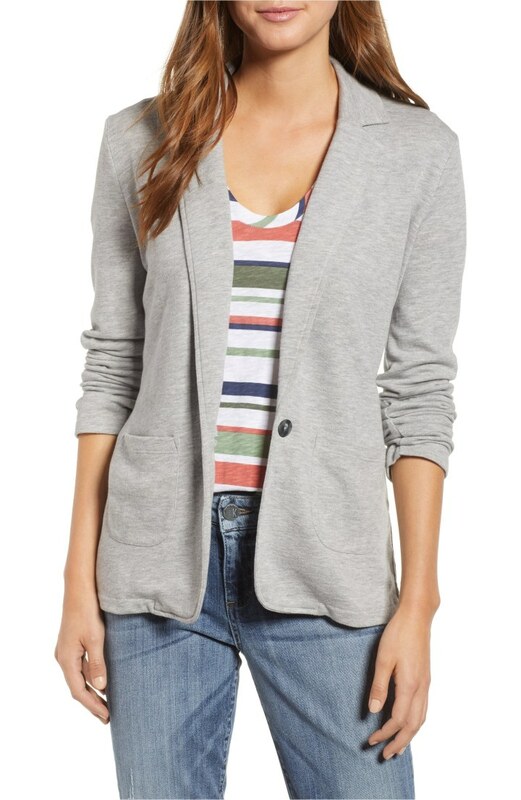 We also love this Caslon knit blazer that's only $39. 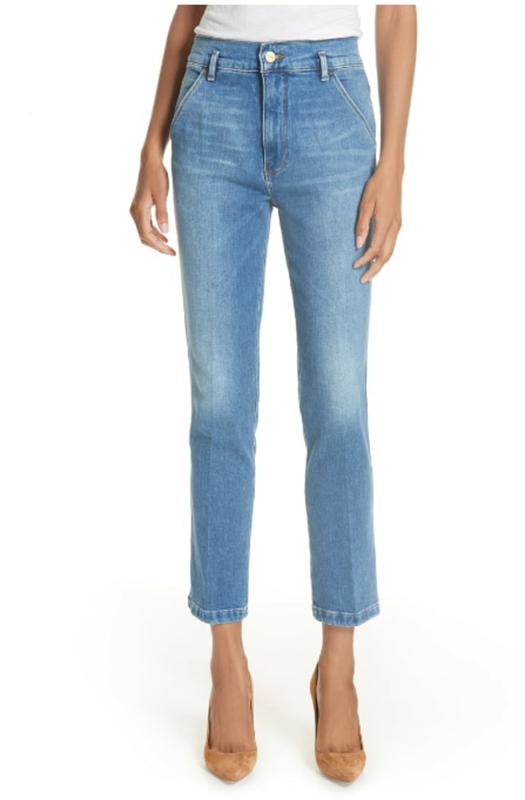 These cropped, light wash Frame jeans could just be the most popular piece in your wardrobe. They rarely go on sale. Dress them up with pumps or down with white leather sneakers for a comfortable, classic ensemble. 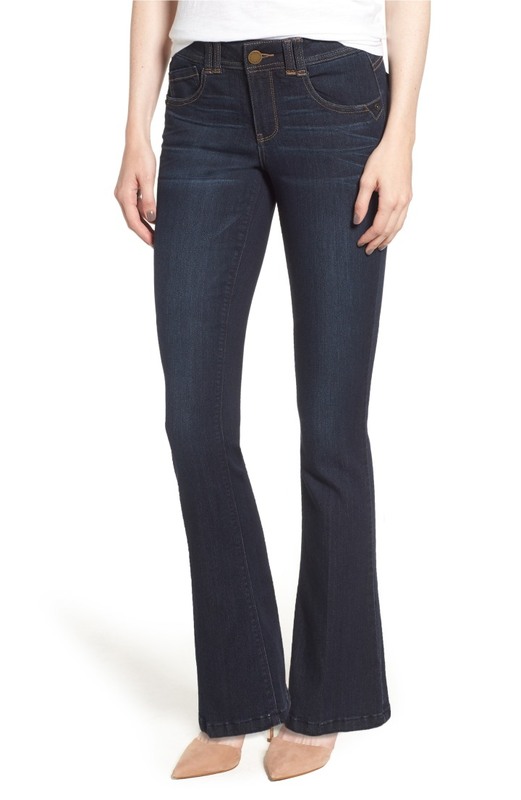 If you're looking for a darker wash, we love these Wit & Wisdom jeans that are designed to flatter any figure and lengthen your leg. 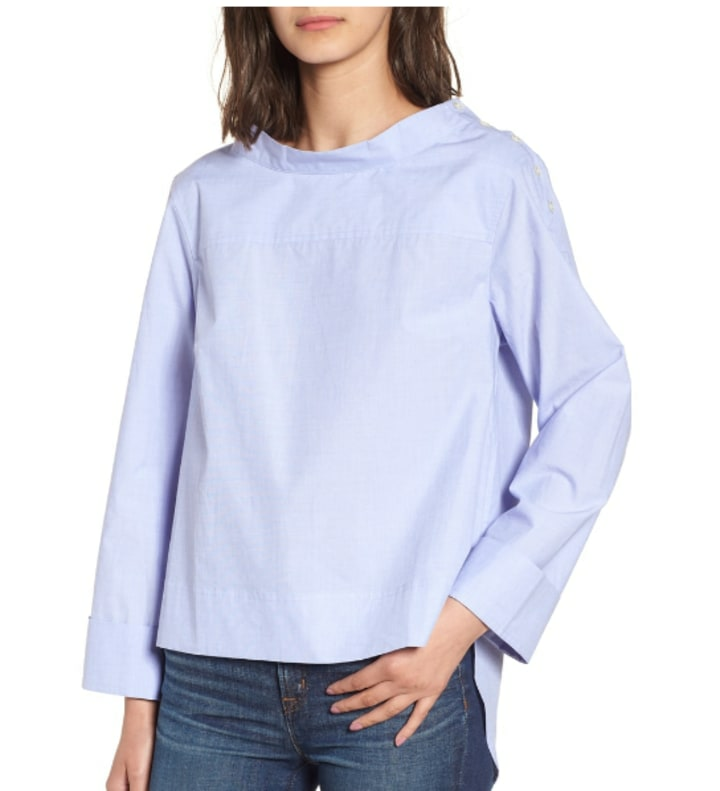 If there's one reason to love the Nordstrom Anniversary sale, it's for the mass amount of great wardrobe basics they offer up at discounted prices. 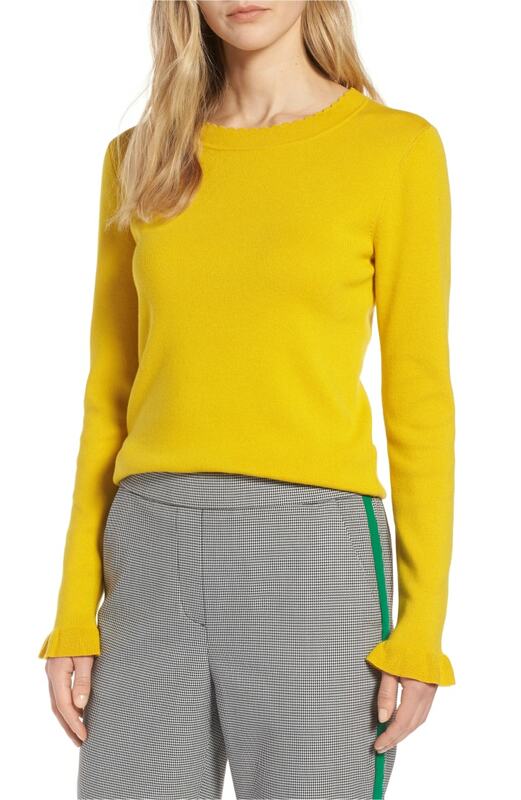 This lightweight sweater comes in five colors and can be easily worn from fall into spring. 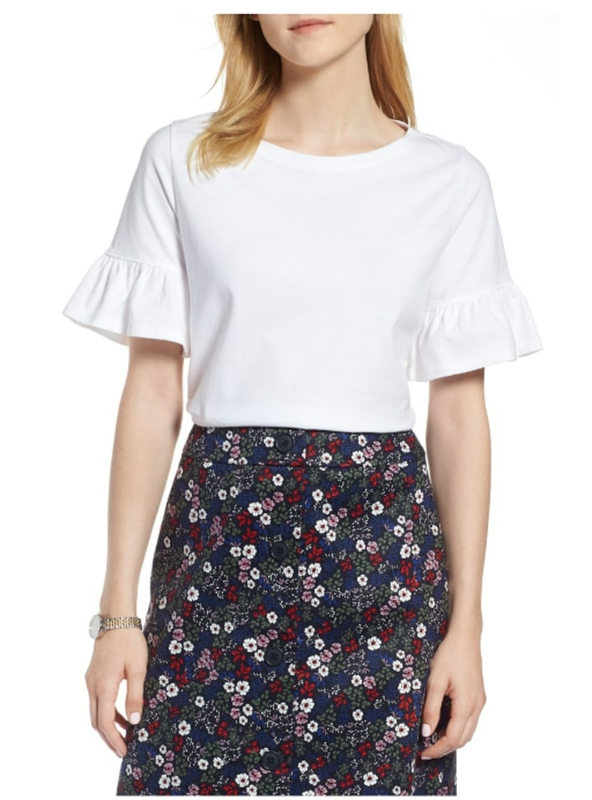 This white t-shirt with a sweet ruffled sleeve is a summer wardrobe staple. Try it tucked into a patterned skirt or throw it on with jeans. It comes in six colors. 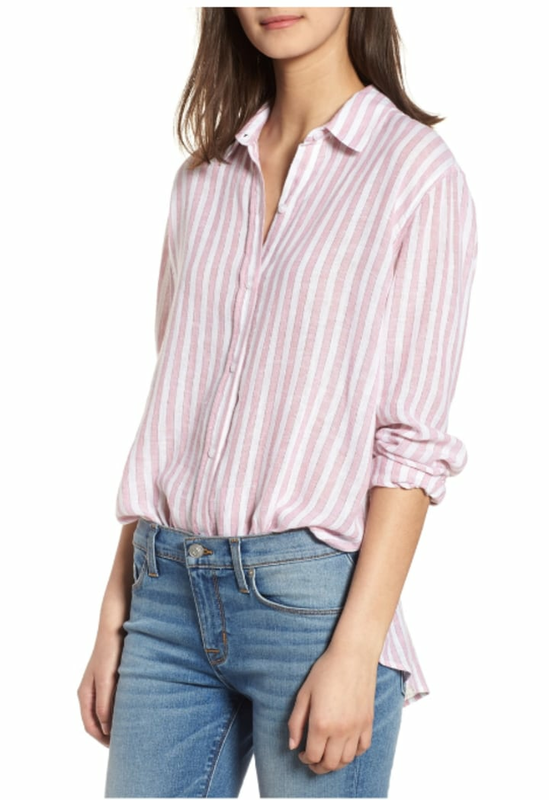 The laid-back, striped button up by Rails, known for their super soft tops, will carry you from late summer straight into fall. Wear it now with shorts or white jeans and later with dark wash jeans and your favorite leather jacket. 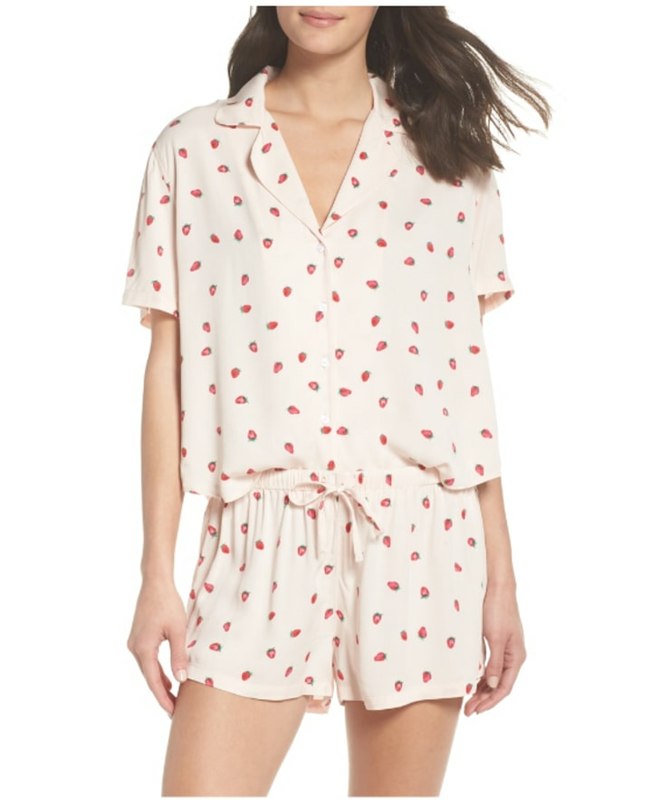 Who doesn't love a pajama set? 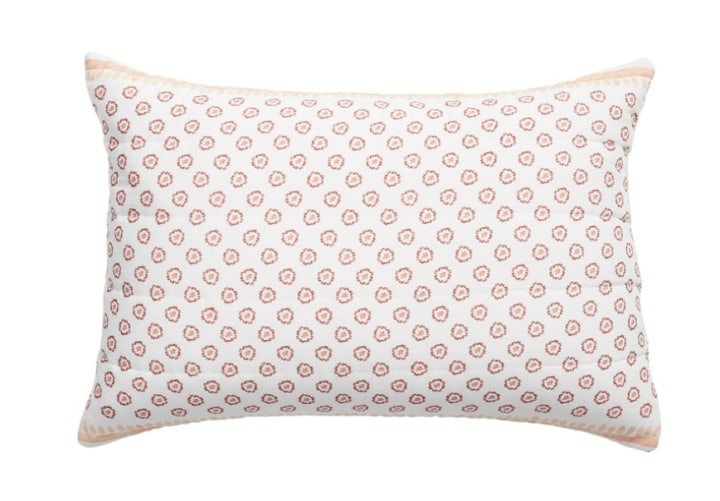 This one is soft, breezy and covered with little strawberries! This similar pair is also adorable and at a lower price to boot. Coats? In July? At this price, absolutely. 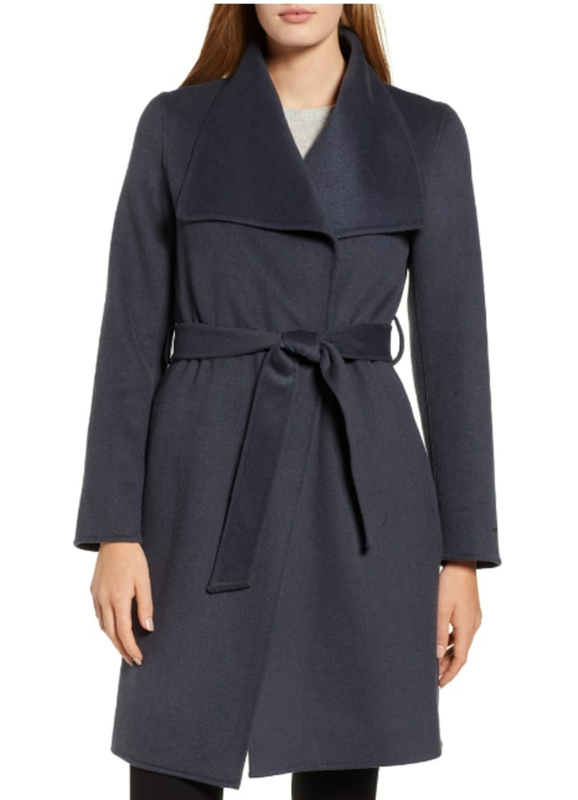 Save almost $100 with this wool blend wrap coat by Tahari, which comes in sharp navy, classic black or royal blue. Shop all jackets and coats here. A structured cotton shirt makes a chic statement in a snap. Pair this one with your favorite tapered skirt for work or style it with jeans and slides for go-to weekend wear. 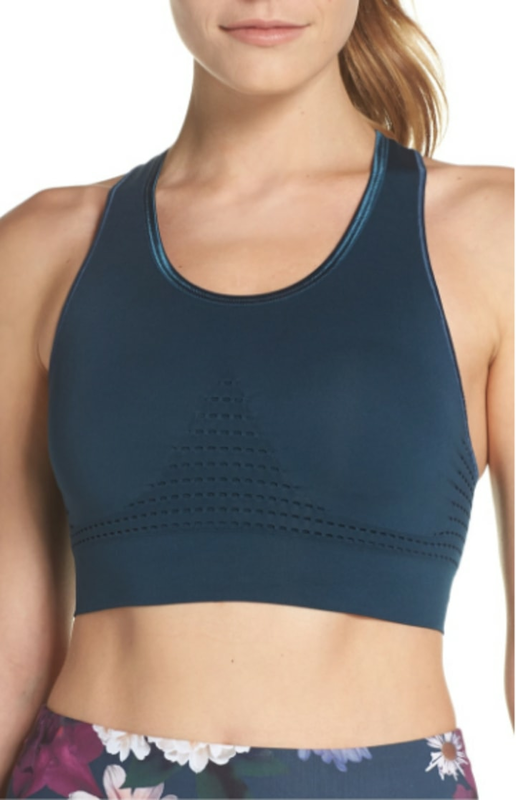 Don't forget to check out all the great workout gear on sale, too, like this comfy but cute Sweaty Betty sports bra. Shop leggings, tops, sports bras, tennis shoes and more! Shop all the shoes, from boots to sneakers to sandals, here. 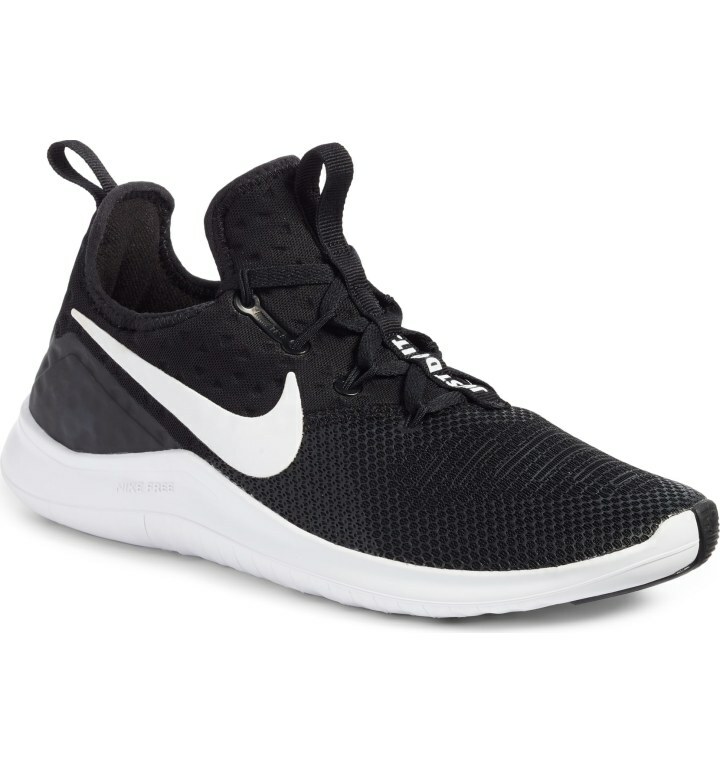 Built for agility, this ultra-lightweight shoe is perfect for walking, running or taking any class. 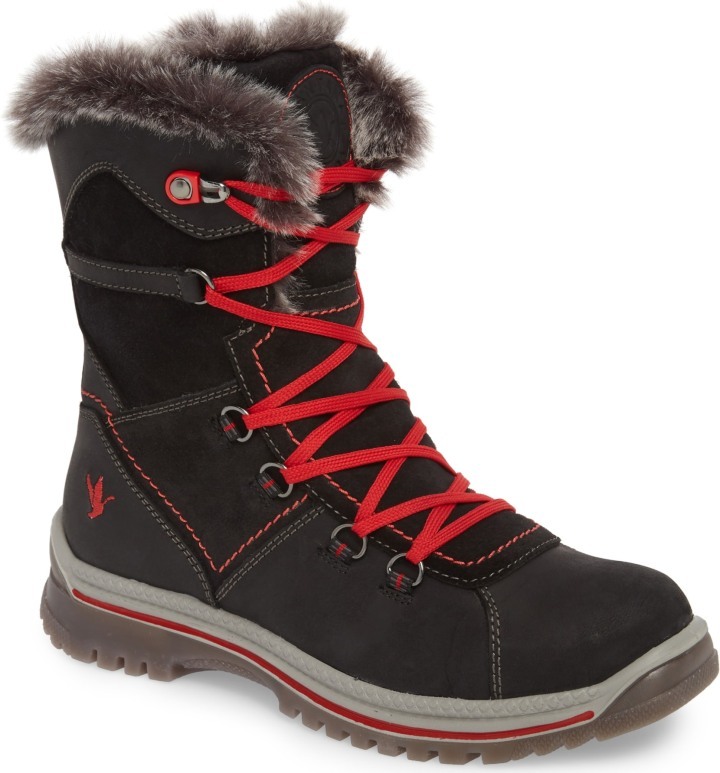 We realize that it's only July, but a good pair of snow boots is hard to come by at this price. Snag them now and you'll be all set for winter. 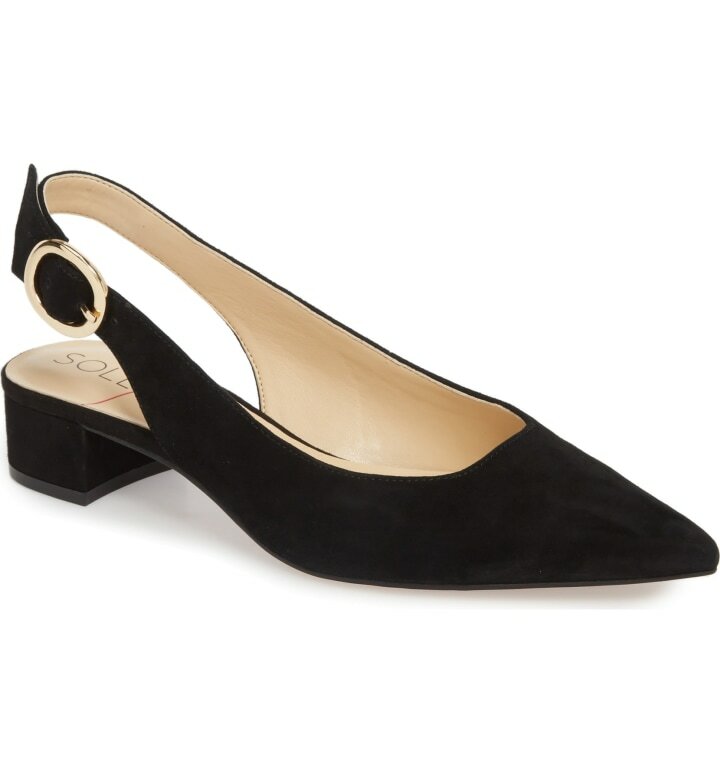 This sophisticated block heel pump is easy to wear and perfect for work or date night. Who's ready for happy hour? 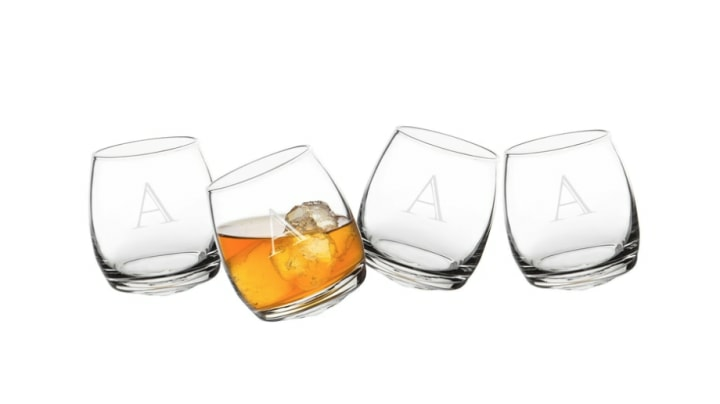 You will be with this set of attractive old fashioned glasses complete with a monogram. 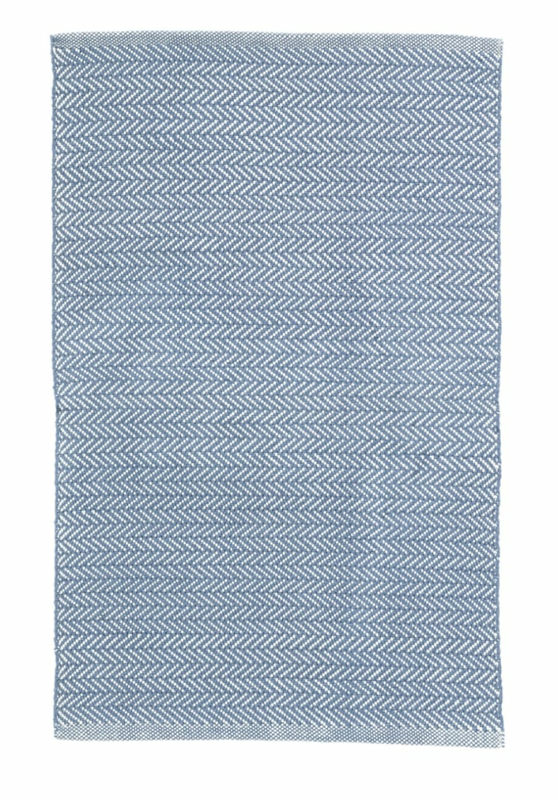 A herringbone rug is a great way to add a subtle layer of texture to any living or bedroom. This Dash & Albert design comes in 12 shades, ranging from bright coral to subtle tan. To shop more rugs, visit our round-up of the best deals on Wayfair right now. They're offering 60 percent off rugs and more! This sweet little tie-back sham is the perfect way to add a subtle pop of pattern to an otherwise neutral bedscape. 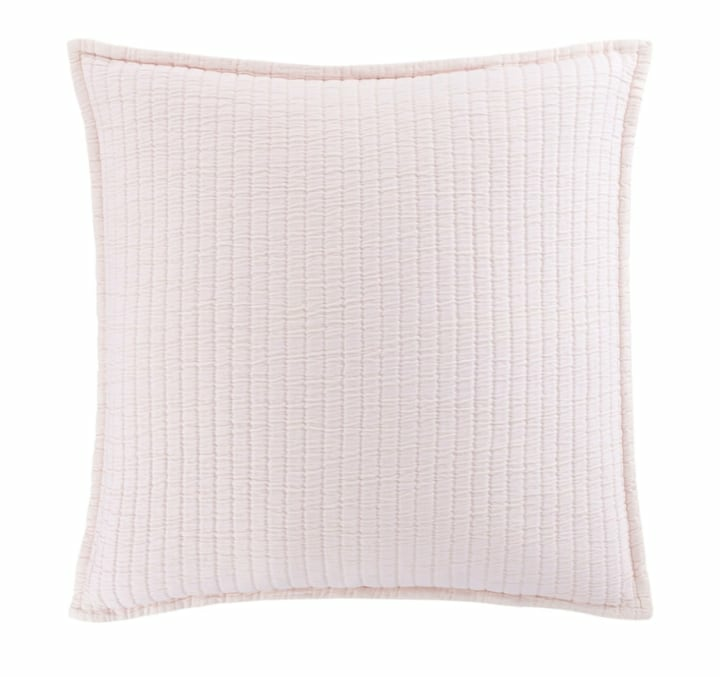 What's soft, perfectly pink and on major sale? These Pine Cone Hill Euro shams! Nab a pair now to give your bedding an instant refresh. Luxury bedding is just ... luxurious! 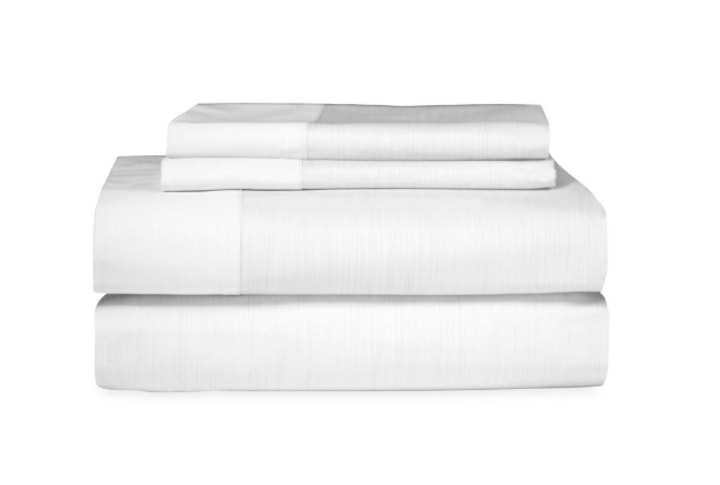 Rather than splurge on a sheet set with a high thread-count, snag one now, like this Michael Aram style. Sweet dreams! 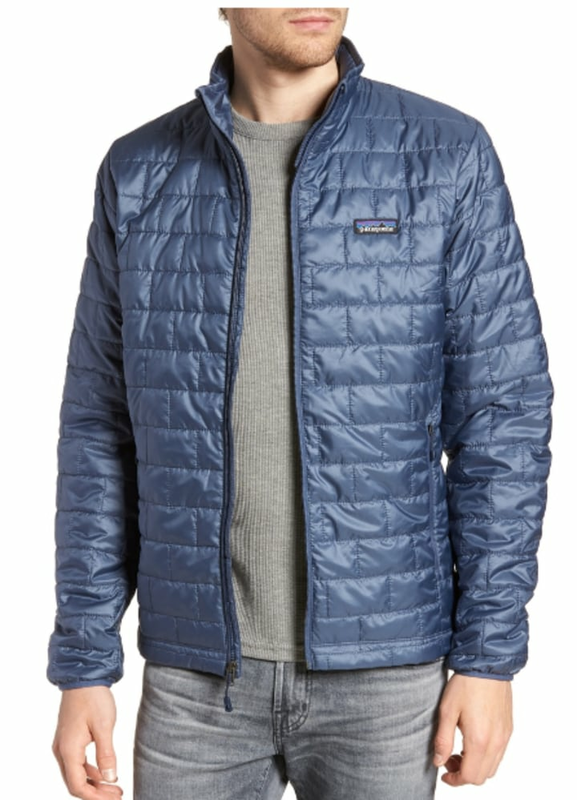 This lightweight quilted Patagonia jacket is such a classic, and it comes in black, gray and blue. Buy it now and wear it all fall and winter long. For a different option: This Barbour quilted jacket makes the same statement, and it's at a great price too. 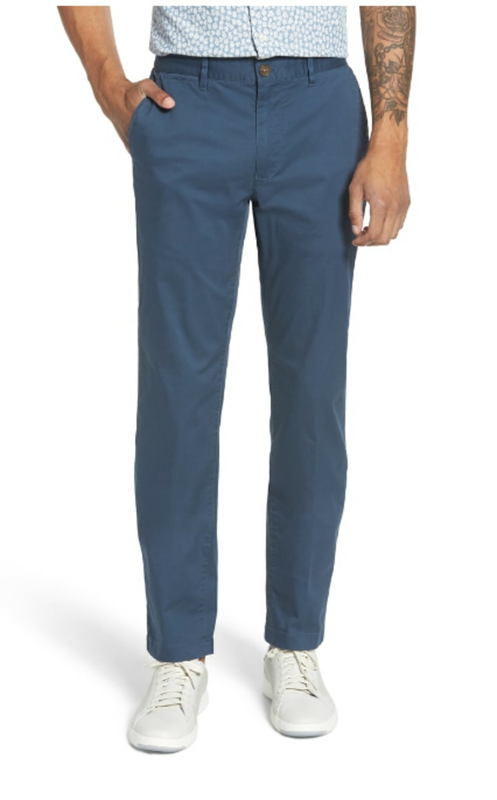 These pants are a total steal and come in navy, gray and classic khaki. They've got a little stretch and slim tailoring, making them a perfect lightweight pant for summer. A Peter Millar polo is never a bad purchase. 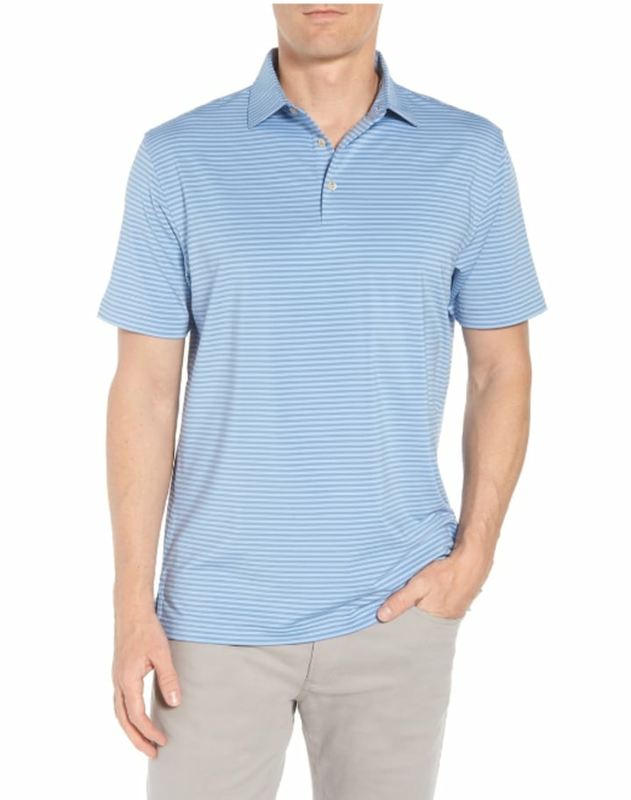 Subtle stripes meet a stretch-knit fabric for a sporty, comfortable polo you'll wear all spring and summer. 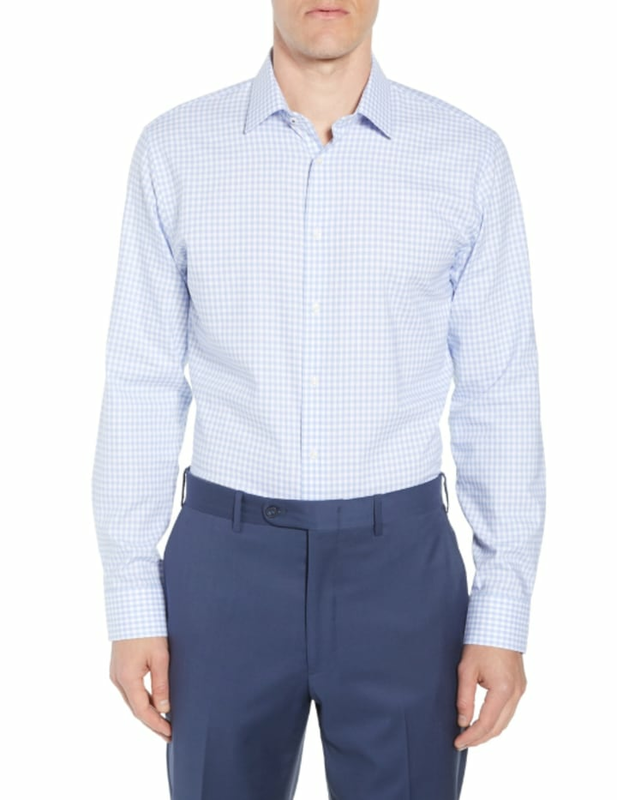 This dress shirt in an attractive light blue check is simply a classic. 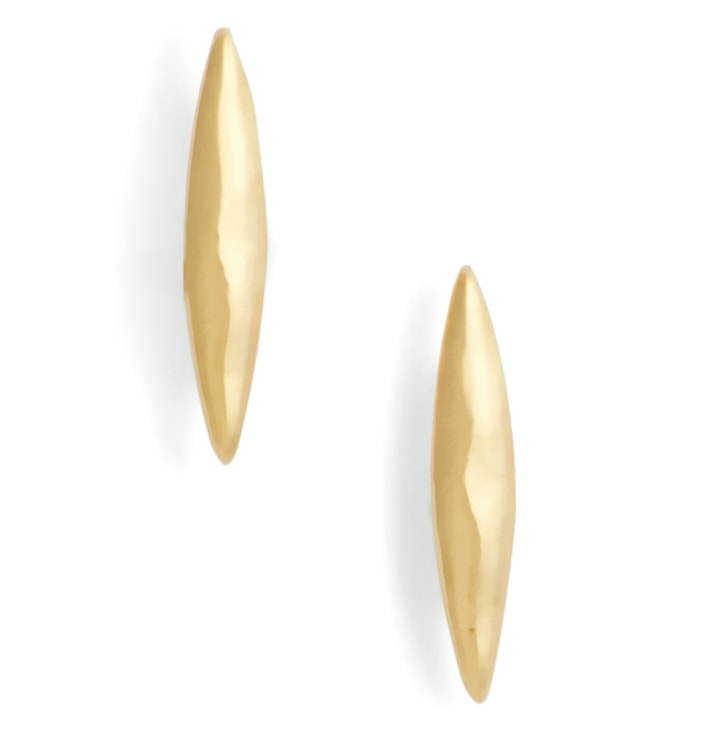 A sweet stud that makes a serious statement. Check out all the additional Gorjana goodies on sale, too! Pearls are always a classic, but freshwater pearls in fun formations are very of-the-moment. 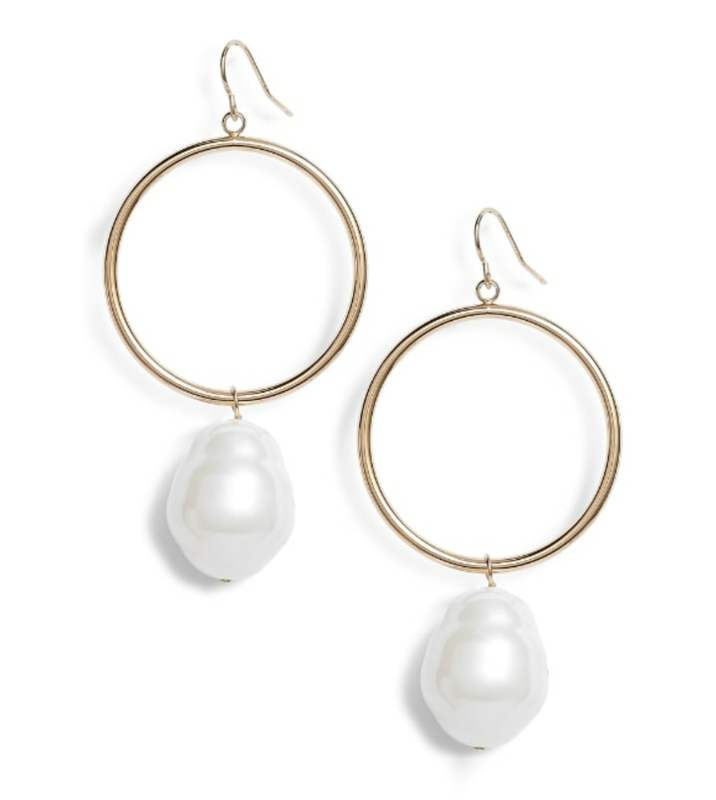 Try the trend with these $26 ones — a large gold hoop accented by a freshwater pearl drop. The Nordstrom sale is the perfect time to purchase new luggage. 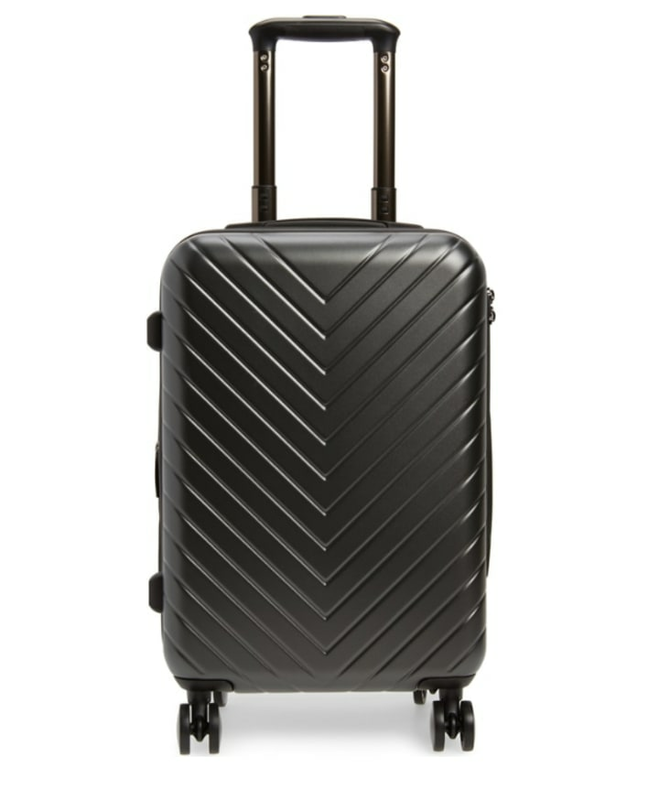 This carry-on suitcase comes in black, blush and aqua, and there's also a matching larger version. Did you catch Sarah Potempa on TODAY last week? 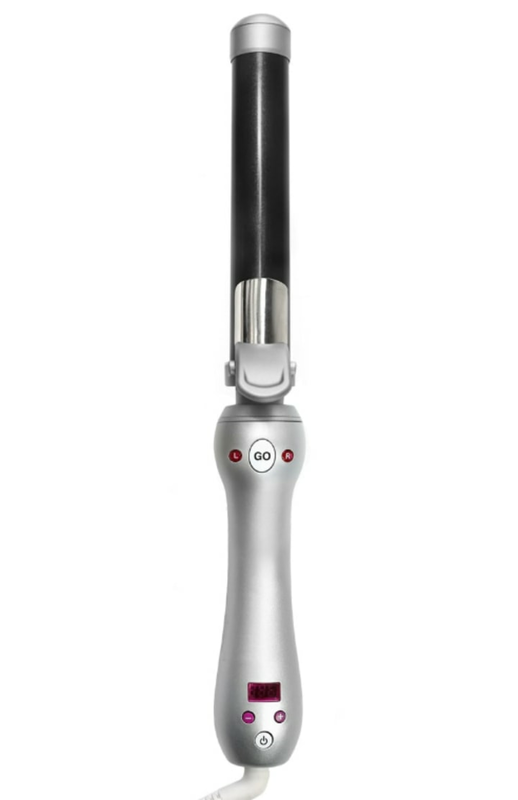 She's the inventor of the Beachwaver, a rotating curling iron that helps you achieve beach waves instantly. It's usually almost $200, so this sale price is quite a steal. 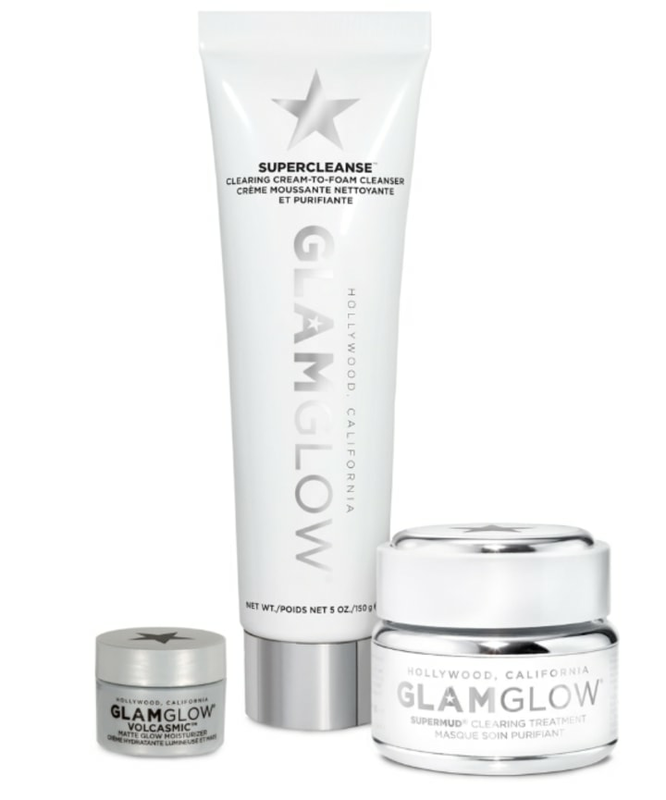 The GlamGlow Supermud clearing treatment is a big hit here at TODAY. In this set, you'll get that miracle-working mud mask, a moisturizer and a cream-to-foam cleanser. Who doesn't love a two in one? 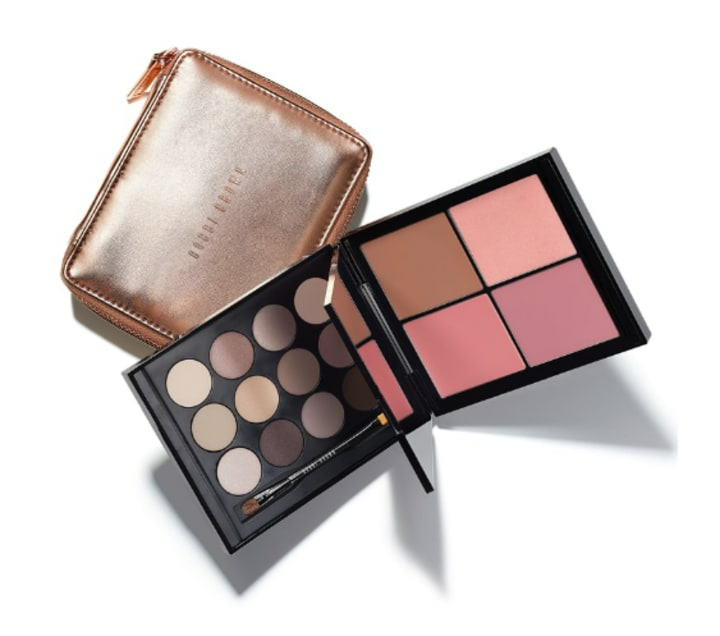 This little pallet contains 12 eye shadows and four cheek colors, making it perfect for travel or girls on the go.